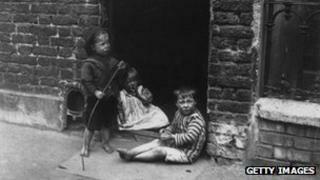 The census faces its biggest shake-up in its 200-year history under Office for National Statistics proposals. An online survey could replace the study - carried out every 10 years - or information could instead be collated using data already held by government. The plans will be fleshed out and put out to consultation this month before Parliament makes a decision in 2014. Social scientists and MPs warned government data did not provide enough detail for researchers and businesses. An ONS spokesman stressed that no decisions on the future of the census had yet been made. The information-gathering exercise has been carried out since 1801 - when the official population of Great Britain was revealed for the first time. Prof Jane Falkingham from the Centre for Population Change said: "There's no other source of data that actually gives us that snapshot level of detail." But the ONS says it has become too expensive and difficult to conduct, with the latest study costing £480m. In 2011 questionnaires posted to every household sought information ranging from marital status and qualifications to types of central heating. One free-market campaigner, Mark Wallace from the Conservative Home website, said: "Why do they need all this info? "Does the government really need to know... what my religion is, how I define my ethnicity?" But Danny Dorling, professor of human geography at Oxford University, said a move away from the comprehensive survey would make it harder to understand and track societal changes. "If you want to highlight the inequalities in a society there is no better way than to ask everybody how many bedrooms they have and how many people live in their house. "Without the census we wouldn't have these facts to our hands." He highlighted the 1971 census which revealed how many people were living without hot running water, adding that censuses had uncovered social phenomena that could otherwise have stayed hidden - slum housing, fertility rates and transport trends among them. Andrew Miller, who chairs a cross-party committee of MPs which has investigated the issue, said he would welcome the census moving to the internet - 17% of 2011 respondents gave their answers online - but he said he was concerned by the second, so-called "administrative data" option. Mr Miller warned that the full census provided information that could not be gathered any other way. "That's an option that will work for internal decision-making within government, but the census has uses way beyond that." He pointed to businesses - particularly in the transport sector - which use the census to plan where to open plants and to understand their market, adding the move would be "bad for UK PLC." Cabinet Office minister Francis Maude has said that compiling information from existing state and private data stores would produce "more accurate, much more timely data in real time". A spokesman from the department added: "The government believes that the census, in its current form, is outdated. ONS are currently working with the users of census data to evaluate future options." MPs will have the final say on what will replace the current census after a three-month consultation, based on recommendations due to be published by the statisticians next year.